AUSTIN, Texas — Even a Category 4 hurricane doesn’t kill the mood for coastal fish – and that’s good news for all species, as well as for a multibillion-dollar recreational fishing industry. 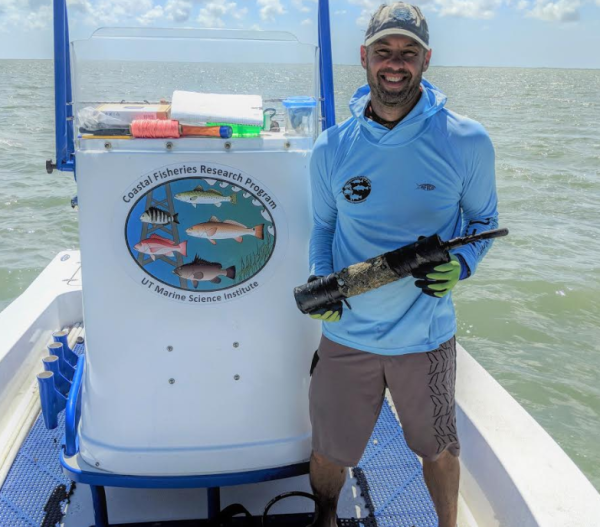 As extreme weather patterns threaten to bring more and larger storms to the Gulf Coast, new findings from the University of Texas at Austin’s Marine Science Institute show some important fish species are able to continue spawning even in a severe storm. Photos, audio and video are available for use with attribution to The University of Texas at Austin and can be downloaded here.